March and April has seen us working on some unique sectors, and begin a number of large mobile projects. Lets take a look at what we have been up to in more detail. 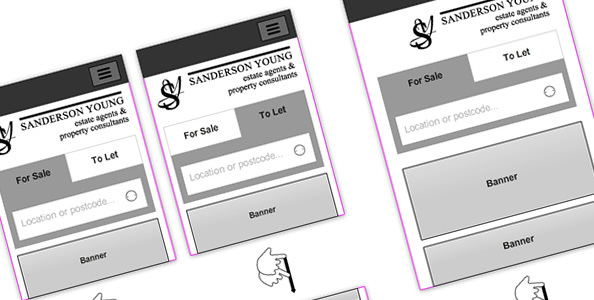 After launching the desktop version of the new Sanderson Young website in early September, mobile usage has grown by over 120% in that time. Our aim is to transfer the specific elements of the desktop site that has made it such a hit with users, over to the mobile version. Work begun on the project in mid-March, and we are aiming to be live some time in June. Report Book is a long term project of ours, and we recently launched a new version of the website which you can see by clicking here. 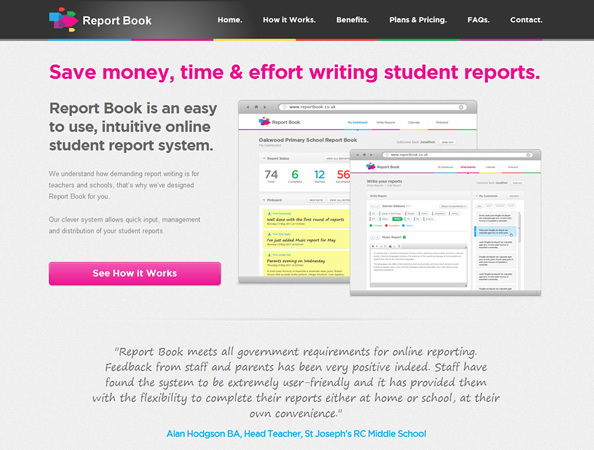 Report Book is an easy to use, intuitive online student report system which allows teachers, schools, parents and students to benefit from quicker reporting and improved communication. AUX Recruitment are specialists in sourcing the very best personnel for leading class organisations, in sectors ranging from education, healthcare, digital and many more. We are currently at an advanced stage in development, and we hope to be live some time in May. We were approached by Brick Services to set up the company’s very first eCommerce website. We are currently still discussing the functionality of the website, but we are very excited to be setting up what will be an industry leading website in the sector. We have been commissioned by Heaton Property to design and develop a new website for the business. We’re working closely with their team to design and develop a website that reflects their very different approach to their market, with more updates and designs in future blog posts. 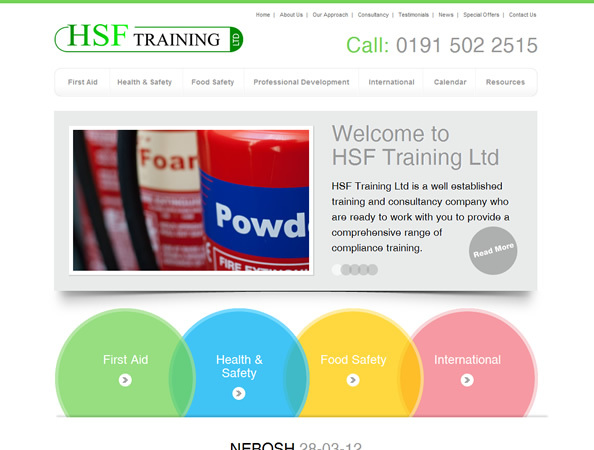 The HSF Training website went live in early April and feedback for the site has been extremely positive. HSF is a well established training and consultancy company which provides a comprehensive range of compliance training including health and safety, food safety training, first aid and consultancy services. After helping OSE update their website in the first quarter of the year, we have began helping the company with their email marketing. We will be producing a number of email templates that the company can use to send newsletters and service-related messages. We have been working on some improvements to the specific date availability elements of the website. This will give the user more control over seeing pricing for specific parks and dates, and should be going live on the sales website soon. 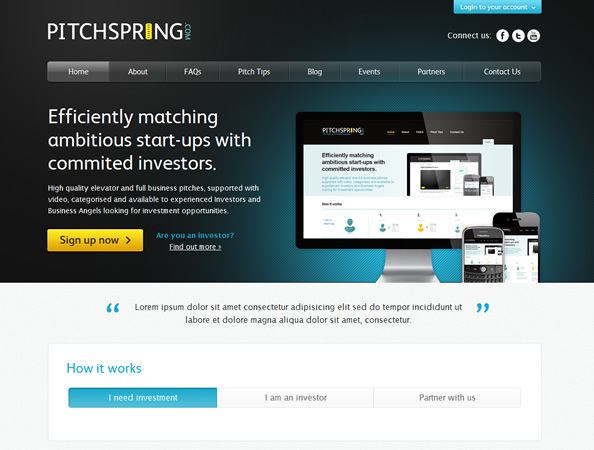 Pitchspring.com is a fast, highly efficient business pitching platform, dedicated to matching Start-Ups with Investors. We have been working closely with the PitchSpring team to redesign their desktop and mobile websites. Keep an eye out for these going live in early May. 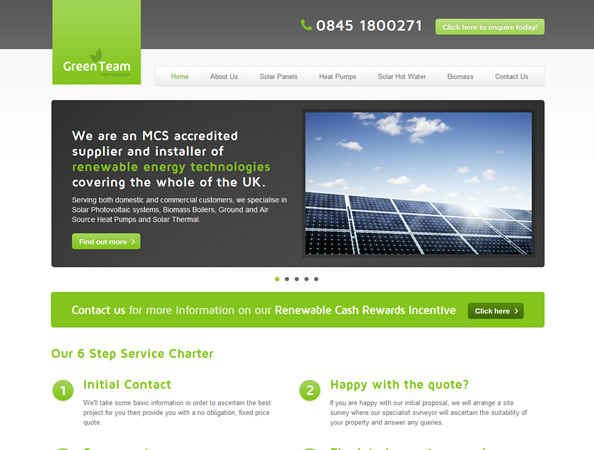 We’ve launched a new website for this brand new venture, an MCS accredited installer of renewable energy technologies. The website features their new logo and promotes the wide range of renewable energy services that are available. The team are already working across the country and have exciting plans for the business, so we’re looking forward to working alongside them in helping promote the company in the future. The Gateshead Collective are a partnership of 9 leading work-based learning providers based in Gateshead. The collaborative group were formed in 2003 with the aim of joining forces and providing a higher quality training service to both individuals and employers. We are working closely with the team at Projector in taking their new brand identity and applying this to a new website which promotes The Gateshead Collective and raises the profile of training across the region. The website features training provider search functionality and a WordPress content management system to allow Gateshead Collective and its partners to promote their news and events. The website is currently in development and we’re looking to launch in the next few weeks, more on this in future blog posts. We have recently helped develop a fantastic new element of the customer area which helps users track fuel usage across entire fleets of vehicles. Using some complex jQuery graphing software, we are helping users become more aware of their fuel usage, leading to reduced cost and a smaller impact on the environment.